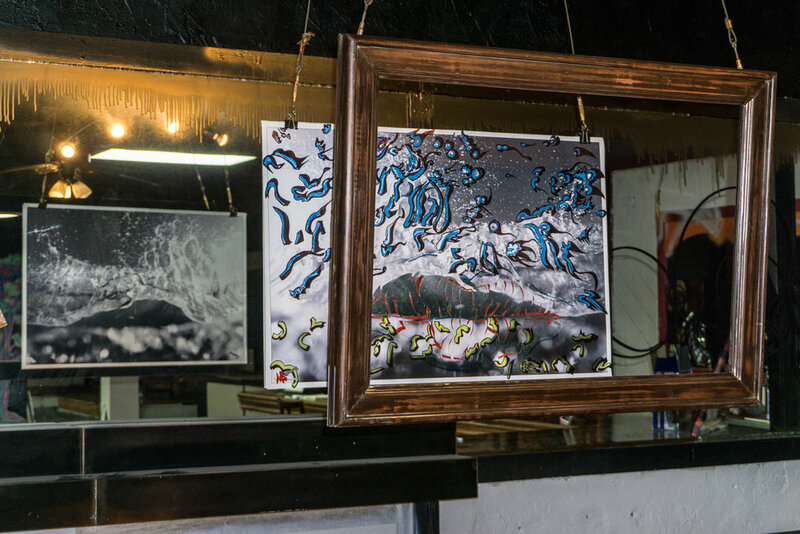 A lively pop-up gallery located in Virginia Beach's emerging ViBe Creative District featuring art, music, passion and a truly one-of-a-kind experience! Here for a good time, but not a long time. Produced and curated by Mike Smack. 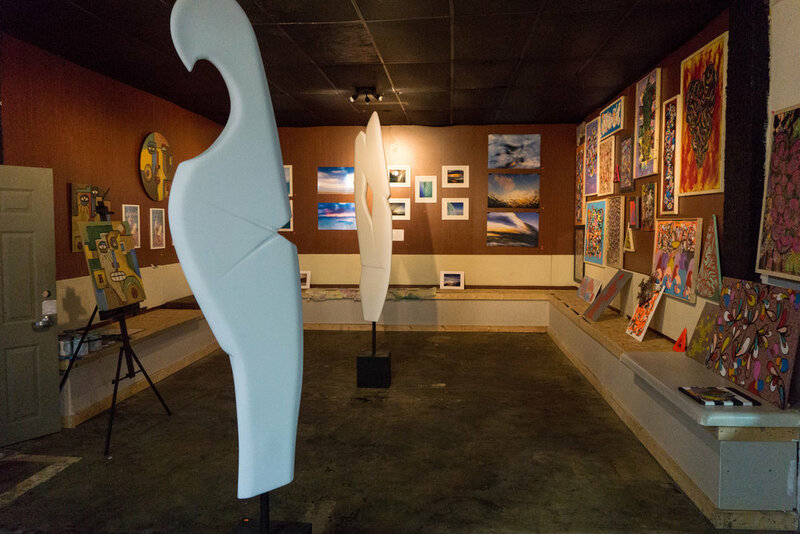 This formerly vacant building was a neglected nightclub transformed into a living work of art by a dedicated team of local Virginia Beach artists. We deconstructed and then reconstructed this space over five weeks to create a place that would showcase our passions and engage our diverse local community. This mural by MS.perceptions and Parrish Majestic covers over 2,400 square feet on the front and side of 3!5 BLVD. 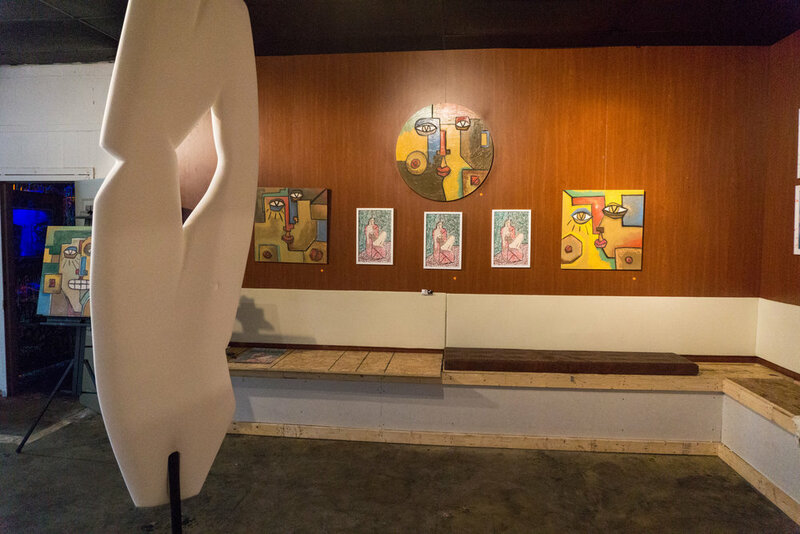 The VIP booths from the club converted to a beautiful gallery display. 3!5's trademark resin floor squares. The interactive black light room, where visitors were given their own glow paint to sling on walls. Trippy floors installations, potty mouths, abstract sculptures, larger-than-life-size faces, graffiti tags, water photography, and cubism figures inside 3!5. R&B artist Samoht blesses the crowd with an impromptu live performance. Graffiti artist, Versatile Vice (Vice Versa), brings life to a wall in the 3!5 courtyard. Vice used the unique outdoor layout to his advantage in creating this vibrant mural with a positive message. 3!5 Musician/Artist/Wordsmith, Eayaes, chats with the crowd before a live performance. Jane & Mike Smack, Sr.